A few years ago, we commissioned Jeffrey Hatcher to write a play called A Picasso, set in the midst of World War II. 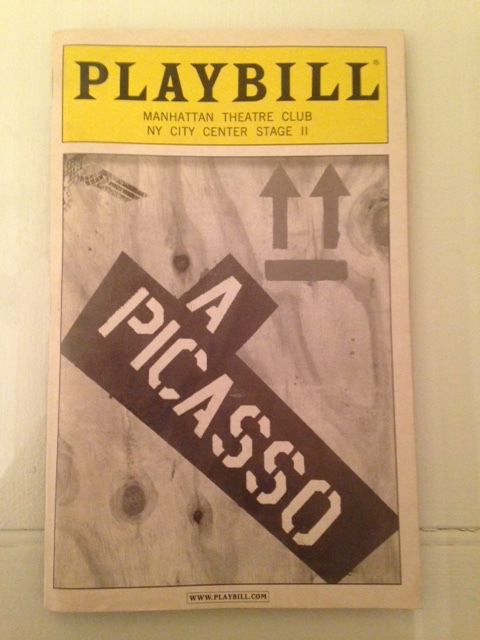 The other day we were looking through boxes of old playbills and found a stack from A Picasso’s run at the Manhattan Theatre Club and thought why keep them all to ourselves? This production of A Picasso was directed by John Tillinger and starred Dennis Boutsikaris and Jill Eikenberry. We have copies that we would like to share with 5 of you! They are in good shape and would make a nice addition to your playbill, Broadway, or theatre collection.